If you recall back to August 2015, I was introduced to a new concept in the baseball world: juju. And mine is bad. I single-handedly applied the icing to the dismal end of Drew Storen’s Nationals career, allowed Carlos Gonzalez to smash a grand slam off the aforementioned reliever, and oversaw the downfall of the 2015 Washington Nationals during my staycation at Nats Park–all after I guaranteed the Mets miss the playoffs. So 2016 can only be better, right? 2016 will, unfortunately, be the first even-numbered year since 2008 that I will not spend time in Florida for Spring Training. 2010 was my first trip to Jupiter, when I was enamored in baseball paradise for a few days watching my Marlins practice just feet from my eyes. 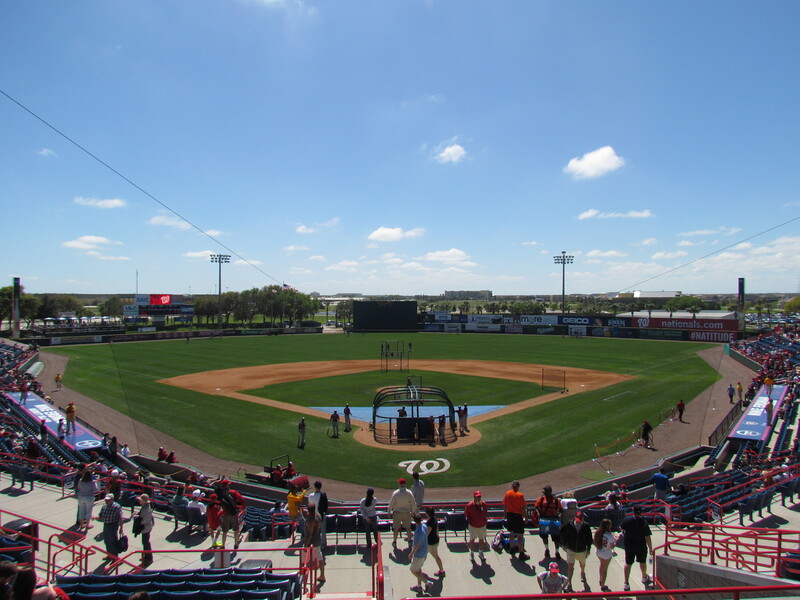 In 2012, I saw the Nationals and Cardinals play a game in Jupiter before I traveled to Miami for an exhibition game at Marlins Park–days before it officially opened for the start of the season. And in 2014, my mother graciously accompanied me on another Florida excursion that my high school understood as “visiting my elderly grandmother,” where I saw games at Disney, Jupiter, and Viera. Something called college got in the way this year, and I will not be trekking to the Sunshine State, but that may be great news for every National League club not named the San Francisco Giants. The Giants have won the World Series each even-numbered year since 2008. And 2015 was the first year (odd-numbered years included) they failed to reach the National League Championship Series since 2009. If my presence at Spring Training has an effect on the Giants’ postseason efforts, and because of juju I’m not surprised if it does, then I’ll gladly trade a baseball trip for a different club representing the NL in the World Series. The Cubs will suffer after a stellar 2015. Their young players will still be talented as ever, but now that they’re no longer underdogs, the MLB mentality will catch up to the youthful stars and they will not win the NL Central as everyone is predicting. 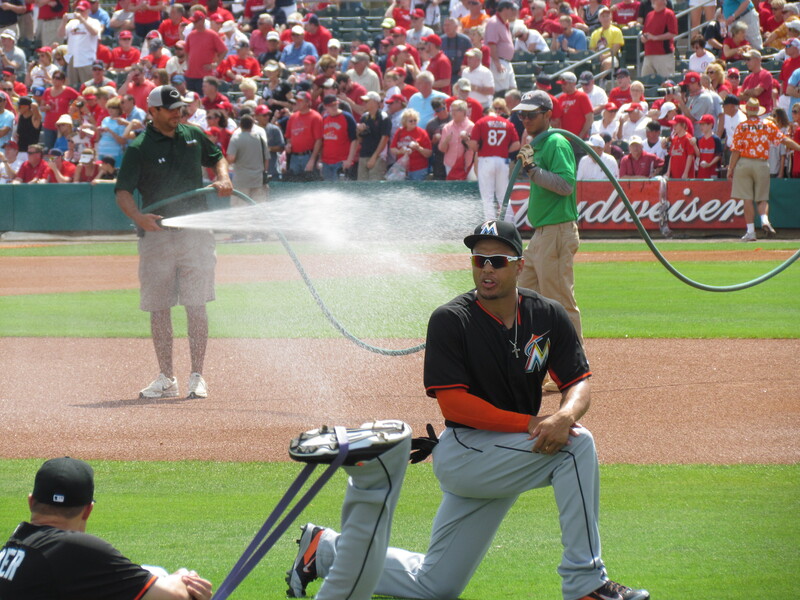 Yoenis Cespedes, Giancarlo Stanton, and Bryce Harper will vie for the National League home run title. Stanton will probably average a home run every 10 or 12 at bats, but the injury plague will bug him and the Marlins, who can’t seem to catch a break with their slugger. I think Stanton will finally break the 40-homer threshold–something he was well on his way to last season before a June hand injury ended his year. The Nationals will re-sign Ian Desmond because Danny Espinosa won’t be nearly as valuable as an everyday shortstop as the Nats want him to be. Trea Turner won’t be MLB-ready either, so it’s back to the fan-favorite Desmond, who is still currently unemployed. The Detroit Tigers will claw their way through a difficult American League Central and somehow win the division after taking 2015 off. The Royals will win at least 85 games, but will have to settle for a Wild Card a year after winning the World Series. There’s something about Jordan Zimmermann and Miguel Cabrera being on the same team that won’t let me pick against the Tigers. For Cabrera’s sake, I really do hope Detroit wins a World Series in the near future, but the Tigers seem to falter every time the lights shine bright. And because of the Spring Training juju, the fact that they missed the NLCS last season, and the fact that the Cardinals failed to keep the San Fran-St. Louis magic going, the Giants will NOT win the National League this season. Diamondbacks, anyone?